Atlas Terminal was a small industrial park located at Cooper Avenue and 80th Street, in Glendale, Queens. 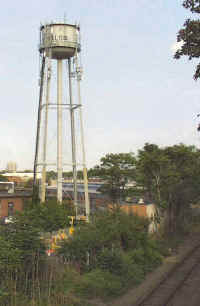 It started out around 1904, and possibly earlier; as an industrial area. Around 1922, one of the original tenants, Henry Hemmerdinger; began purchasing the surrounding properties adjoining his own, and eventually the property would come to be expanded to over 16 buildings. 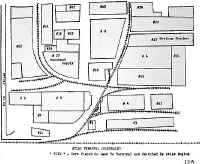 Eventually, it would be conglomerated and organized into a rather modest industrial park. 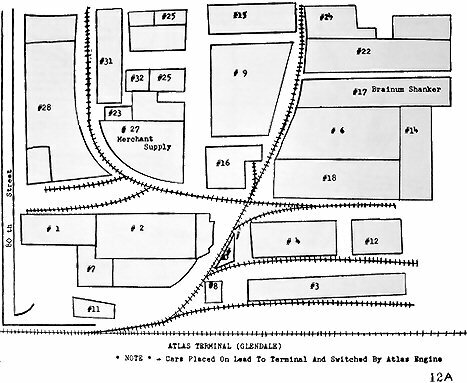 By the 1950's, Atlas Terminal would be one of the premiere industrial parks in New York City (oft used as a prototype) encompassing 45 buildings spread out over 25 acres. 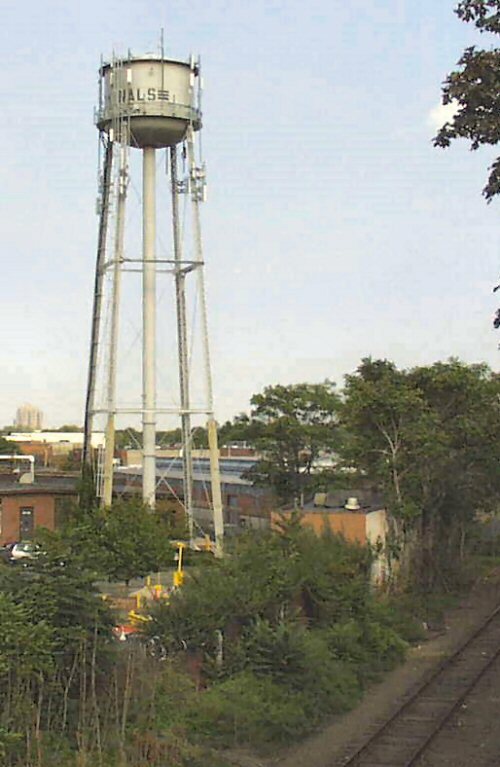 Over 75 percent of the structures are of one story height, most of them brick construction. A few of the tenants throughout the years were: Kraft, General Electric, Westinghouse and New York Telephone. 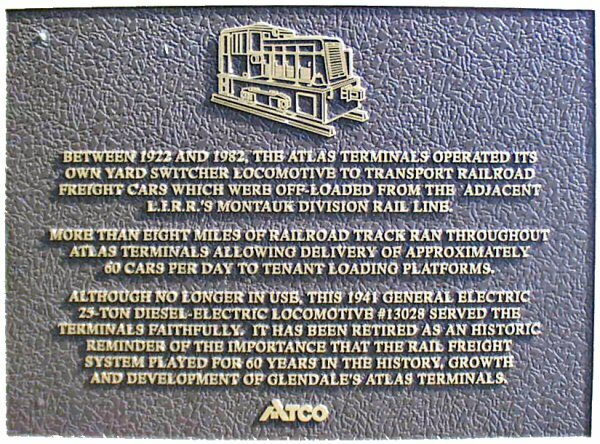 Atlas Terminal would encompass more than 8 miles of track, switching over 60 carloads per day to the various tenants in the terminal, and would have rail access / interchange via the Montauk Division of the Long Island Rail Road. 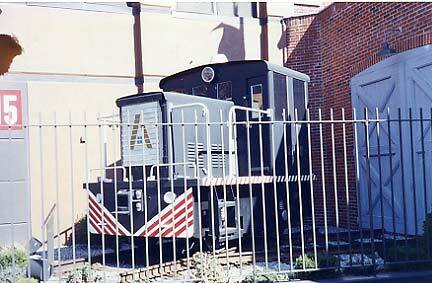 Railroad freight service concluded in 1982. 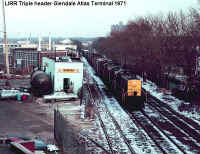 Atlas Terminal, as we presently know of; had at least two locomotives over its history, neither of which were steam. But, both were extremely small and industrial in nature. 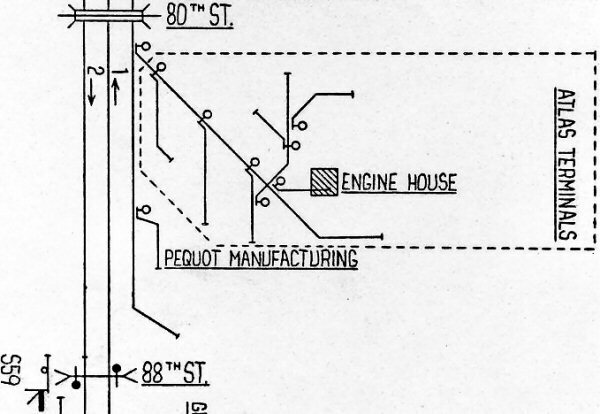 The first locomotive (the older of the two known) was of Plymouth manufacture, and the other is from General Electric. The GE was saved for posterity, and was on display outside the Atlas Terminal until most of the Atlas Terminal was demolished in 2004. I have not ascertained its present whereabouts. What was not demolished of the Terminal, was converted to the esthetically fitting "Atlas Park Mall", with industrial style buildings, (arched windows, external "I" beams, and the original painted brick wall advertisements and business names left).